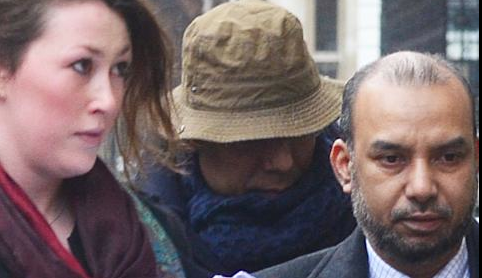 I don’t know if Mayor Lutfur Rahman was a little cold or merely shy when he arrived at court today but whichever PR genius advised him to turn up looking like Inspector Clouseau probably needs sacking. Apparently, he wasn’t too happy about being photographed and words were exchanged. I’m not surprised, though: he’s been under incredible pressure for the past year or so and the court case would take its toll on anyone. He has now completed his three-and-a-half day ordeal in the witness stand, and tonight must preside over the Tower Hamlets council’s annual budget making meeting. The man deserves a holiday. I’ve yet to go through the transcript of today’s proceedings but there were some interesting exchanges yesterday. THE COMMISSIONER: It is late in the day, Mr. Hoar. MR. HOAR: I am sorry. THE COMMISSIONER: Despite our best endeavours, the literal temperature has risen considerably. MR. HOAR: I am sorry. Yes, the literal temperature. MR. HOAR: Even the famous Mr. Jeory has described it as “the sauna of court 38”. THE COMMISSIONER: No. I think he was quoting me. MR. PENNY: I do not know what my learned friend or your Lordship are talking about, I have to say. THE COMMISSIONER: Apparently, I understand that Mr. Jeory quoted the statement I made that this was “an unofficial sauna”. MR. PENNY: I see. I was unaware of that. I do not believe that it forms material in the case; at least, I hope not. MR. HOAR: It does not. THE COMMISSIONER: I think you may rest assured on that account, Mr. Penny, that saunas will not enter into it further. MR. PENNY: I am grateful. The immediately preceding exchange between the petitioners’ barrister Francis Hoar and Lutfur wasn’t nearly as droll. Q. You can see the effect of your memos from — we have already seen them — 899 onwards, your tame press, the Bangla Mirror, the London Bangla? A. That is ridiculous, Mr. Hoar. Q. Your tame press repeating, hook, line and sinker, all your press releases? Q. They are your tame press, are they not? A. That is a ridiculous suggestion. Q. The London Bangla is so tame that on the Friday of this trial it called all your enemies “enemies of all British Bangladeshis”, did it not? A. I have no control over the editorials of any paper, let alone the London Bangla. Q. You do not need to; they are so far up your — Mr. Rahman, you do not need to, do you? MR. HOAR: You do not need to. I apologise. A. Come on, Mr. Hoar. Come on. Q. I apologise. You do not need to do that? A. It is not necessary, Mr. Hoar. Come on. A. They are all independent organisations. Q. I am sorry. I am sorry. A. They run stories that concern the borough, Mr. Hoar. I have no control over any one of them; nor do I suggest to them what they should be writing. A. Mr. Hoar, I do not even known who this Oliur Rahman is, and I do not control people doing what they do, Mr. Hoar. Q. You do not control him. You do control Councillor Rabbani. You do not control Councillor Rabbani either, but Councillor Rabbani is a close associate of yours, is he not? A. I do not control anyone. They are all intelligent, capable, independent people. Q. Before I go on, there is one matter that I need to put to you. In 2010, during the period when you were off the shortlist for Mayor of Tower Hamlets candidature, you visited John Biggs, did you not? A. Absolutely not. I made it clear in my statement. Q. You did it late at night? A. When you have finished, Mr. Hoar, I want to come in, please. Q. I am just putting it to you. You can accept it or deny it. I suggest you visited him late at night? A. Absolutely not. I was trying to get on the shortlist. I had my aspirations. I was working away. I was in litigation with the Labour Party to get on the shortlist. I was advised I had a good chance of success. Why will I go to Mr. Biggs’ house? Q. You offered a block of your votes? A. As a mayor twice. Mr. Hoar, can I finish? A. I worked very hard. I knocked on every single member’s door during the selection process. Q. You did so for a guarantee of positions of influence? A. I would never do that. It makes an illogical suggestion. When I am fighting, when I am spending money, when I am in litigation of the Labour Party, and it is about two, three days down the line, when I have got this hearing in court, in the High Court, and I mean, (unclear) conversations with the Labour Party — and I would do this? I would never do something like this. Q. You also have lied in your witness statement, when you say that Mr. Biggs telephoned you and spoke about membership of the House of Lords; that is a complete fabrication, is it not? A. Mr. Hoar, it was about 8-ish in the evening, and whilst I was getting in my car I received a phone call from Mr. Biggs. As I set out in my statement, I was very surprised. I was very surprised I had received a phone call just a few days before the actual hearing, first being nice to me, finding out how I am, being really sweet to me, and encouraging me not to proceed and to take the party to court. Q. 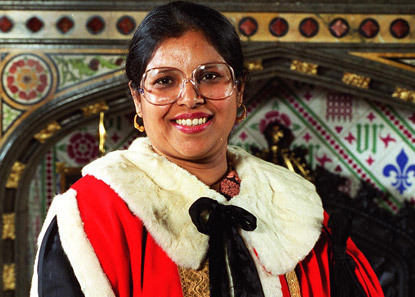 Why is it you think that Mr. Biggs would have any influence over nominations by Gordon Brown or Ed Miliband, whoever it was, to the House of Lords? A. Mr. Biggs, Mr. Biggs, listen — sorry. Mr. Hoar, if I wasn’t on the shortlist, the way the shortlist was, Mr. Biggs very well knew he was the clear front runner or the mayoral candidature, and I did not say that he said he would give me a Lordship. He said I have a future, I have a future. I haven’t got the statement out with me. I have got a future in the Labour Party, I have got a future going forward in Parliament or in the House of Lords; and his comments were I should really reconsider whether I would take the party on like this; and when I refused to his suggestions, Mr. Hoar, he started to threaten me, threaten me. Now, why would I lie over that? He made that to me. 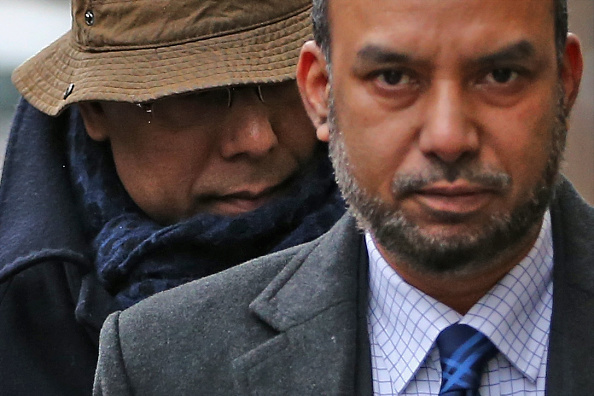 Q. Mr. Rahman, you have done nothing but lie in the course of your evidence today, yesterday and on Friday? A. That is absolutely, absolutely untrue. Q. You would not know the truth if it slapped you in the face, would you, Mr. Rahman? A. Mr. Hoar, absolutely untrue. You can suggest that as much as you like. I am here. My future, my future, my whole future is in the hands of my Lordship. A. I am out here. I would not throw away, I would not throw away my future, the future of the hard work, my hard work over the last 10, 15 years on something as silly as that, Mr. Hoar. And then earlier in the day, we had the following discussion between Lutfur and Francis Hoar (with an intervention by the Mayor’s QC, Duncan Penny). It relates to my report here of a rowdy full council meeting in December 2010. Q. Can I take you to [p]1529. 1528 is where it starts. This is a blog, frankly, by Ted Jeory, who is known to everyone in this room, or at least known by his writing. MR. PENNY: He is not known to me. MR. HOAR: He crops us whenever Tower Hamlets is discussed. Anyway, I am just going to ask you whether he has got the picture right about one of the council meetings. I think it is the correct council meeting. It is the one on 29th of the 11th, because you see “December 11th”. There wouldn’t have been a council meeting between those two events. He describes this, because you say, “Oh, this is a council meeting, and this is how council meetings are.” Can I just take you to an example of that, which is at 1528, where you see a description of Shiraz Haque and then you see a description of something that Shiraz Haque balled out, so Mr. Jeory writes, “In your presence.” He says: “One mayor, one borough, he will do everything he likes. P, to get out of11 the borough, you can rent one of my flats. Peter, are you going on a honeymoon with Jim Fitzpatrick. (Heckling) I can get you a better rate of interest if you invest in me.” That’s one of the examples of the council meeting and it’s a council meeting that’s what happens. Q. You say that that didn’t happen? Q. So Ted Jeory when he wrote that was lying about it, was he? A. I don’t know what Ted Jeory was saying, Mr. Hoar. I have never missed a full council. A. Those kind of comments have never been made. Q. So you are saying that Ted Jeory has lied about a council meeting a few days later to, what, entertain his readers? A. Ted Jeory has said a lot of things over the last 10 years, Mr. Hoar, and I’m not going to comment on those, but attributing those to a member in public, I am sure that Mr. Golds would have been the first one to complain and officers would have investigated. Q. It is one thing, Mr. Rahman, to say that you don’t agree with Mr. Jeory, but it is another to say that he’s a liar. Which of those is it? A. I am saying that I was on the rostrum, there were others on the rostrum, too, and I don’t believe anyone else heard those comments being made. So what Mr. Jeory said is up to him. Q. No, no. That’s not what you are saying. Q. He has reported a meeting at which he was present, and he has given direct quotes to one of your supporters. You have said that those things were not said at all because your memory of that particular meeting is now rather good. A. No, no. I am saying to you that I have not heard those comments being made at a public meeting. If they were made, I am sure the chief executive or the monitoring officer would have picked it up. I am sure that Mr. Golds would have put in a complaint and someone would have investigated. Q. Oh, you’re sure that Mr. Golds would have put in a complaint? A. That’s what he does. He always puts in a complaint. Q. This is what you are saying, is it not? You are saying that Ted Jeory was lying about what happened in that meeting? A. I’m not saying that. It is for Mr. Ted Jeory to say. It is for him to say. Q. There are only two conclusions, Mr. Rahman, aren’t there? He does not say that this was said sotto voce, very quietly at the back of the meeting. He said that it was shouted out. You have professed to have a good memory of it, and you say that that didn’t happen. So what you are doing is accusing Ted Jeory of lying, aren’t you? A. That’s what you are saying. I am saying that I don’t know what Mr. Ted Jeory had in mind and what he said. It is up to him. What I am saying is that I didn’t hear those comments being made and I am sure officers, or Mr. Golds, would have picked it up if those comments were made. Q. During that outburst, you said absolutely nothing, did you? A. I am sitting there, as a mayor, making my statement, as I do, and I am there. It is not for me to control the public gallery. It is for officers to control that. Q. These are your supporters, aren’t they? A. They are supporters of various parties who attend the public gallery. The full transcript, including a very interesting account of the alleged racism by the ruling Liberal party in the early Nineties is available here. Lutfur denies all accusations made against him. The hearing continues tomorrow.